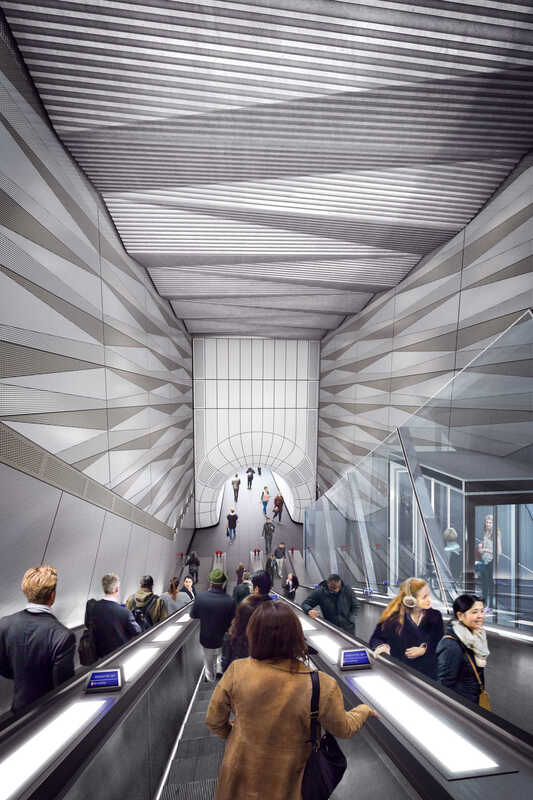 Liverpool Street station - Crossrail . For information about the Elizabeth line please visit the Transport for London website. 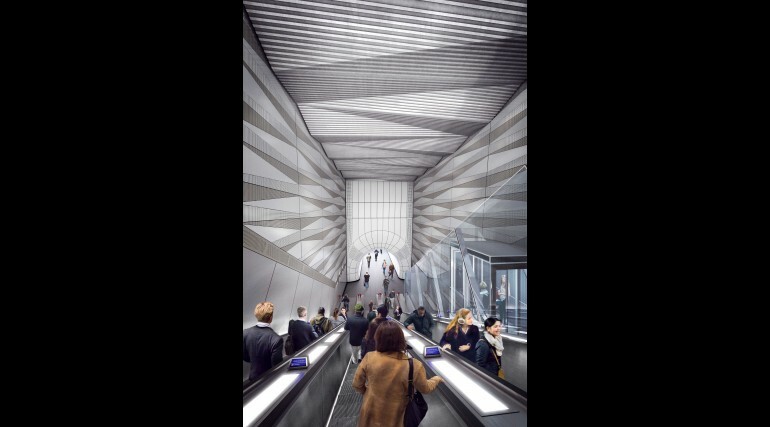 Nestled in one of the City’s leading financial centres, surrounded by a continually evolving dense urban landscape, the design for Liverpool Street station makes the most of what little space is available to build a massive piece of infrastructure. 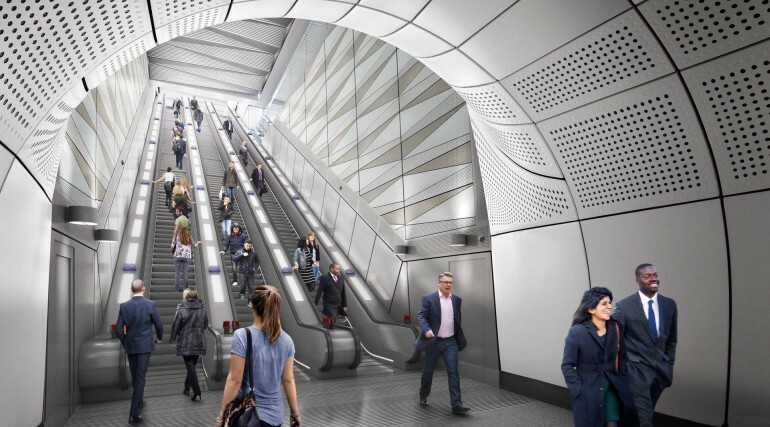 Stretching from Moorgate in the west to Broadgate in the east, the Elizabeth line ticket halls are connected by two mined platforms. 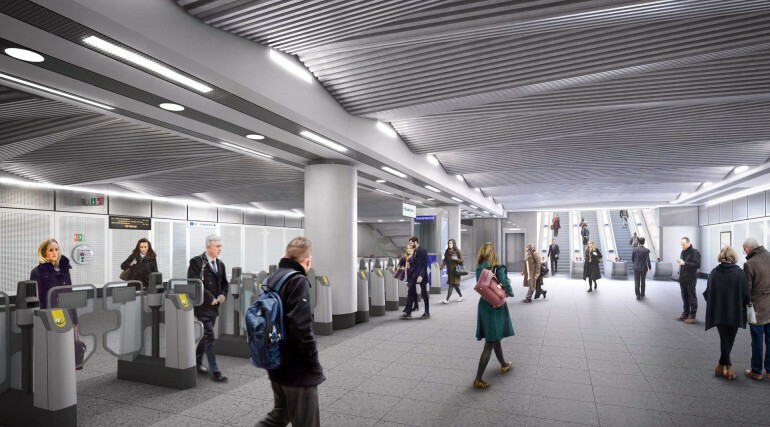 Fully accessible ticket halls provide direct interchange with the Northern, Central, Metropolitan, Circle and Hammersmith & City lines, as well as National Rail services to Stansted and Southend airports. A number of physical constraints below ground at Liverpool Street made the station one of the trickiest to thread into the urban fabric, including a maze of sewers, existing Tube lines and the Post Office Railway. In addition, layers of the city’s history had to be revealed before much of the work could get underway, which in total uncovered nearly 4,000 skeletons from the Bedlam burial site as well as thousands of artefacts dating back to Roman times. A unified architectural design inside the ticket halls is driven by the desire to maximise height in these constrained spaces. A shallow, folded ceiling plane formed by ribbed pre-cast concrete panels breaks the perception of the low flat ceilings to create a greater sense of space, scale and movement. The grooved, angled ceilings could be seen to resemble the pinstripes, often seen in the suits of City workers. A subtle sparkle of mica in the fibre-reinforced white concrete will glow with indirect lighting. 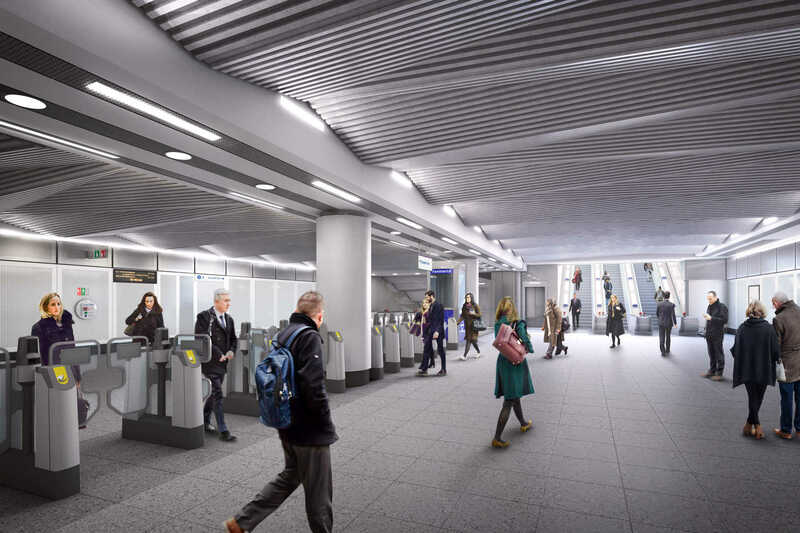 The entrance into the underground eastern ticket hall is through a striking, five metre high glazed canopy located in an open pedestrian plaza. Natural light will filter below ground during the day, while at night the canopy acts as a lantern with artificial lighting from inside shining out of the glazed entrance to illuminate the streetscape. The western ticket hall is at street level and accessed through an angular portal entrance, framed by bold blue coloured glass. Glass panels and acoustic panels made from perforated enamel steel will be used on walls, while terrazzo will be used for the floors. New forecourts and plazas around each entrance will create pedestrian friendly, accessible spaces with wider pavements. This will allow people to gather and dwell whilst maintaining clear pedestrian flows in and out of the station. 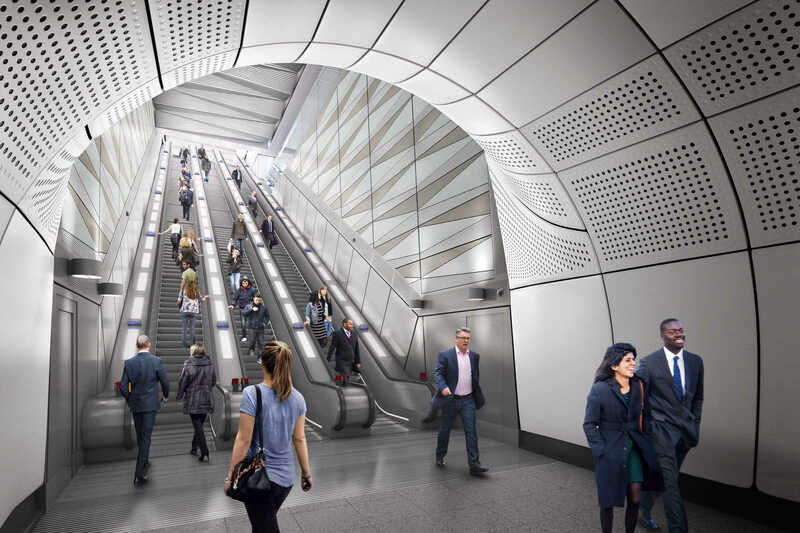 In addition to the station improvements, Crossrail has been working with the City of London on proposals for improvements to the area around the station.